Insane Clown Posse headlines The Pin! Aug. 14. Consider yourselves warned: the Insane Clown Posse is heading to Spokane for a show at The Pin! on Aug. 14. 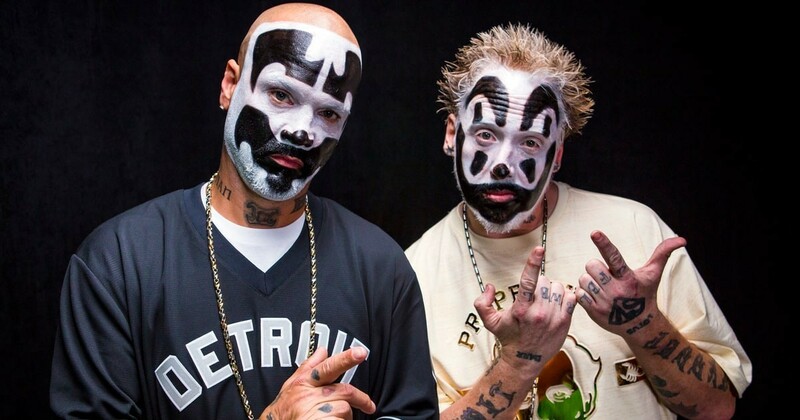 The Detroit duo will be joined by a slate of guests yet to be announced, but suffice to say, ICP is the reason every Juggalo in the region will be descending on downtown Spokane on a Tuesday night when Tech N9ne isn't around. The makeup-clad hip-hoppers are considered a full-on gang worthy of FBI attention by some, and revered as the inspiring heads of a vibrant creative community by others. I don't know their music well at all except for the occasional YouTube clip, but I always like reading the entertaining stories about their various controversies. ICP tickets are $25 and on sale now through the Monumental Shows website.